Things are looking up for seven-year-old Bertie Pollock. The arrival of his spirited grandmother and the absence of his meddlesome mother--who is currently running a book club in a Bedouin harem (don't ask)--bring unforeseen blessings: no psychotherapy, no Italian lessons, and no yoga classes. Meanwhile, surprises await Scotland Street's grown-ups. Matthew makes a discovery that could be a major windfall for his family, but also presents a worrisome dilemma. Pat learns a secret about her father's fiancée that may shake up her family, unless she can convince the perpetually narcissistic Bruce to help her out. And the Duke of Johannesburg finds himself in sudden need of an explanation--and an escape route--when accosted by a determined guest at a soirée. 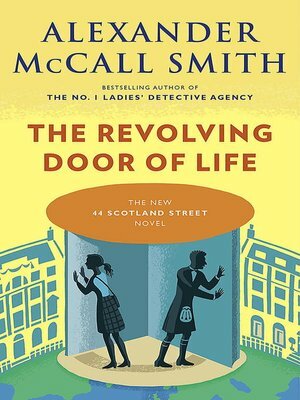 From the cunning schemes of the Association of Scottish Nudists to the myriad expressive possibilities of the word "aye," Alexander McCall Smith guides us through the risks and rewards of friendship, love, and family with his usual inimitable wit and irresistible charm.